It helps to have some unique gift ideas up your sleeve when you want to give a gift to a beau, a relative, or a respected employer. Instead of reaching for tired and expected gift choices like a pair of socks, cufflinks, or dried jerky, keep things interesting with this choice of curated gifts. Figuring out what to give to a guy as a gift can seem daunting at first. However, some winning choices are sure to make a guy's day, no matter whether he is super into sports, watching films, the great outdoors, or is secretly a foodie. One tip, it is helpful not to resort to socks or a gimmicky item for laughs. When you need unique gift ideas for men, you want something that goes above and beyond the expected. The level of attention to small details of how a gift functions, the packaging, and the craftsmanship do matter. Unique gift ideas for men do not have to rely solely on something being personalized with initials or require emptying out your wallet. With a bit of creativity, considerations about a man's lifestyle, and appropriateness of a gift, it can be easier to make a gift choice that a guy will surely love. After scouring customer reviews, inspecting the quality and craftsmanship behind items, comparing price points for similar gift ideas, and considering originality and level of interest, this list was developed. The following gift ideas offer versatility for a range of men despite age, lifestyle, and budget. We wanted you to view unique gift ideas for men that offer longevity, make a lasting impression, and will be treasured for years to come by the man who receives any of the following items. Instead of feeling stumped about what to buy for a colleague, boyfriend, boss, or co-worker, check out this list. Whether it's a must-have item for grooming, something to help pass the time, or has straightforward, practical uses, these gifts are sure to make a guy smile. There's nothing compared to the close shave provided by a Merkur Safety razor. Whether a gentleman chooses to lather up with a gel or foam, this razor provides a superior substitute for a disposable plastic razor. Upgrade the grooming game for a man who takes pride in his appearance, and prefers to keep 5 o'clock shadows and stubble at bay. The blades are easy to replace and an inexpensive investment. The handle is long, has an attractive chrome finish, and has a non-slip grip to reduce nicks and cuts. The Germans are experts at manufacturing a razor that gives a guy a great shave every time, without leaving behind troublesome irritation. Any man who appreciates a finely made tool will take pleasure in using this practical gift. Neatly tucked away in a box, White Flower Farm offers a tool maintenance kit that is lovely to admire and put to use. 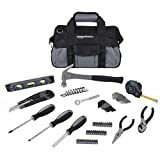 Various tools for fixing things around the house, gardening, or cutlery can all be improved and maintained. This kit comes with a sturdy wire brush to remove dirt and debris from blades, a whetstone to maintain blade sharpness, and linseed oil for cleaning blades and moisturizing wooden handles. The wooden box that encases all of these trusty items for tool maintenance measures 11 inches by 6 inches in size. When a guy is on the go, whether away from home traveling, or busy commuting, it is helpful to be able to keep his iPhone charged and safely stowed away. Enter the Nomad Wallet, which comes in an attractive brown color, and is constructed out of durable leather. The wallet is thin enough to slip comfortably into a pocket, and comes with a battery and charging cable built right into the wallet. While sitting down reading the paper, or taking a leisurely stroll, this wallet can keep an iPhone powered up and ready to go at all times. With this gift, there is no more risking a low battery, or having a phone shut-off at an inopportune time with this trusty wallet! Whether waiting around to catch a flight or in between work and home, these headphones will help block out the noises from the world surrounding so that a guy can focus on the music. Instead of suffering from earbuds that are quick to fall apart, snag, or fail to block out external sounds, go for some over-the-ear headphones from Bose. Thanks to wireless technology, these headphones don't come with an ostentatious or bulky cord. The battery life provides hours of listening time, while noises are canceled out. Additionally, a guy's ears will be grateful for the smooth leather cushioned headphones for style and comfort. Taking calls while wearing these headphones is a breeze, as an included microphone system keeps calls clear despite high winds. Available in matte black or a silver finish, these headphones are attractive and more than practical. There's nothing like giving a guy a sense of rugged style, with the help of this trusty leather journal. 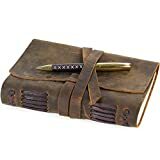 Perfect for using as a daily diary for journaling, sketching, or taking notes, this leather journal has multiple uses. Measuring 6.7 inches by 5.2 inches and 2 inches deep, this journal does not take up too much space. Environmentally conscious individuals will appreciate that the paper is handmade using reclaimed cotton waste, and the cover is Buffalo leather. The binding is attractive with bold leather stitching, and a clasp at the front keeps everything tidy and secure. As a perfect gift for a man with a discerning eye for unique details, this is a solid choice to present. Spending time hiking, at the pool, or hitting the courts is always better with some portable music. 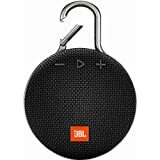 For the active guy in your life or the wannabe DJ, JBL offers a portable clip-on wireless speaker that is attractive, reliable and produces quality output. This wireless Bluetooth speaker provides up to 10 hours of playtime on a single charge. It is easily clipped onto a backpack, chair, or nook. Built tough, waterproof, and available in multiple color choices, this is a gift that will provide hours of entertainment. Tools are always a smart gift idea, as a guy may never know when an opportunity to show off some handiwork skills may be needed. Instead of the typical pocket knife, try this upgraded version instead. A guy might just forget that he has this tool in his pocket, thanks to its lightweight construction, combining German steel and the precision of the Swiss. This innovative pocket knife includes a bottle opener, wire stripper, fish scaler, fork, screwdriver, and more. 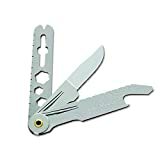 The possibilities are limitless with the applications using this pocket knife. This is a gift for letting a guy get in touch with his inner-MacGyver. Beards are super manly and deserve to be well-kept and respected. 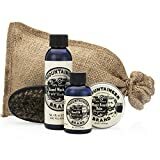 Giving a guy who is proud of his beard, or is currently living through No-shave-ember would be happy to receive this beard kit from Mountaineer Brand as a gift. All of the contents in this beard upkeep kit come in a rugged looking burlap bag. An oval brush helps remove any debris from beard hair and keeps hair looking amazing. The wash helps keep the beard clean, and oil and balm are included to keep a man's beard well moisturized and healthy. All of the products in the kit are made from all-natural ingredients and produced in West Virginia. Our bottles are made from premium grade, BPA-free 18/8 stainless steel. Plastic bottles for drinks can really be a drain on the environment and cause harm. S'Well solves this problem by providing modern, reusable water bottles a guy doesn't mind being seen with in hand. Perfect for any man who enjoys running, hanging out at the gym, or is looking to lower their carbon footprint, this 17-ounce water bottle can be used to tote water, energy drinks, or other libations. The camo design is great for celebrating a guy's inner warrior. While using this insulated water bottle, which is available in varying sizes and designs, the exterior stays nice and dry. Drinks can stay cool up to 24 hours, or hot up to 12 hours, and the bottle is BPA-free. This makes a great gift that celebrates more responsible products for the planet and encourages staying hydrated throughout the day. Frette is a company that has been around since 1860, so they know a thing or two about luxury and linens. For the guy who seems to have everything, give him this gift to remind him of the importance of self-indulgence and comfort. This plush terry bathrobe has a shawl collar, cotton piping, and can be customized with a monogram if so desired. The color range for a Frette bathrobe is mostly available in neutral off-white tones, but the mineral blue adds a splash of color. Move over robes made of crushed velvet, or shiny satin, this robe is perfect for lounging around the house before hitting the sauna or making a trip to the bathroom for a shower. Depending on your budget for gift giving and the type of relationship to the receiver of your gift, it is easier to make a final decision. There is no need to go for broke to find the perfect gift for a guy. There are some things that men will always appreciate in their life, grooming, staying organized, staying hydrated, or showing off their sense of style. A solid and unique gift will help remind a man of how much he is appreciated, how seamlessly the gift will fit into his life and will offer some practical usefulness.